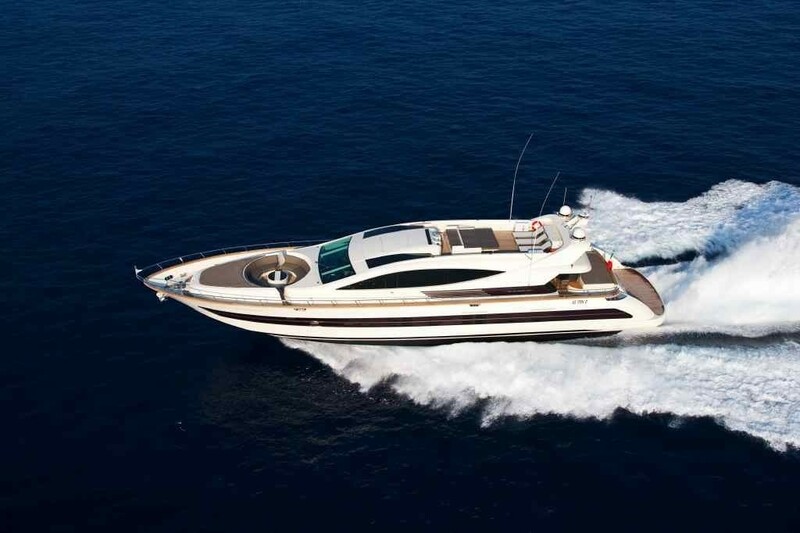 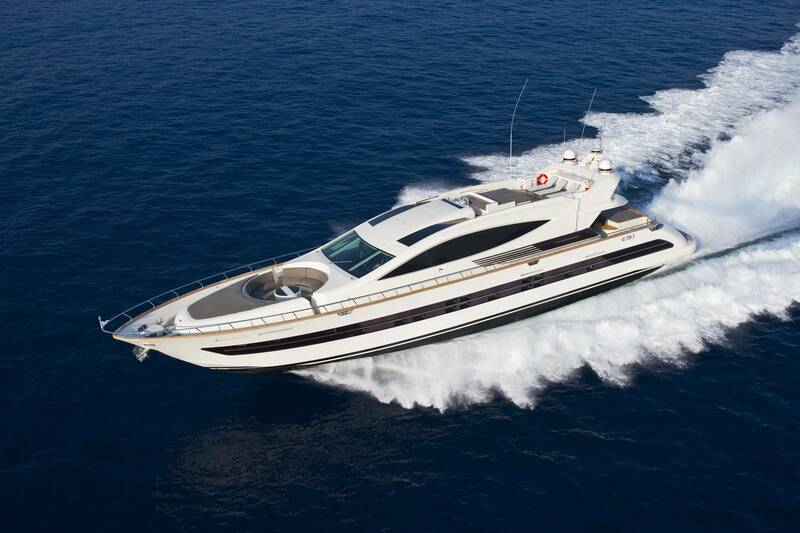 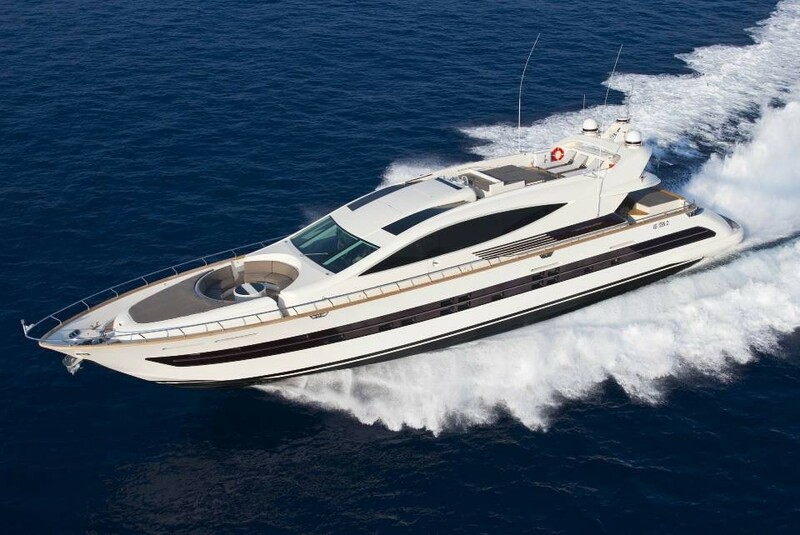 Motor yacht TOBY is a Cerri 102 charter yacht built by Cerri Cantieri Navali in 2009. 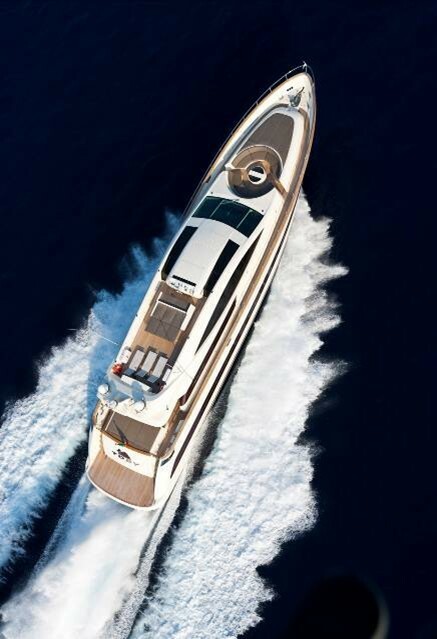 The beautiful yacht TOBY measures 31,1m (102 ft) in length and is able to accommodate 10 charter guests in 5 cabins. 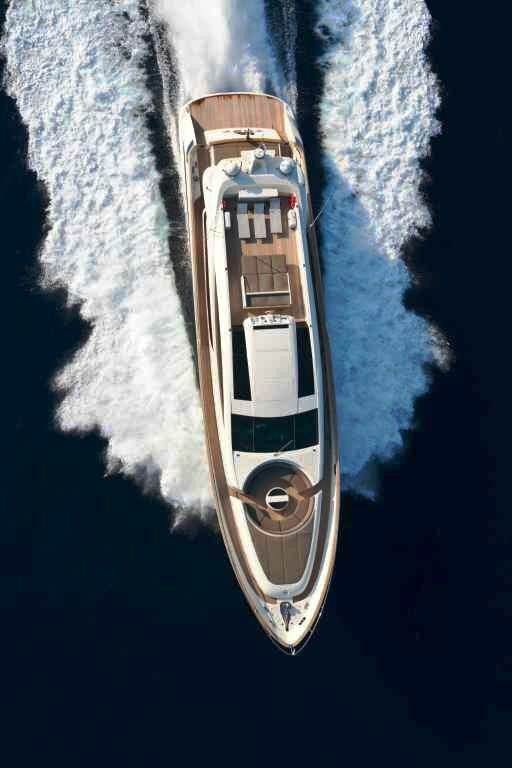 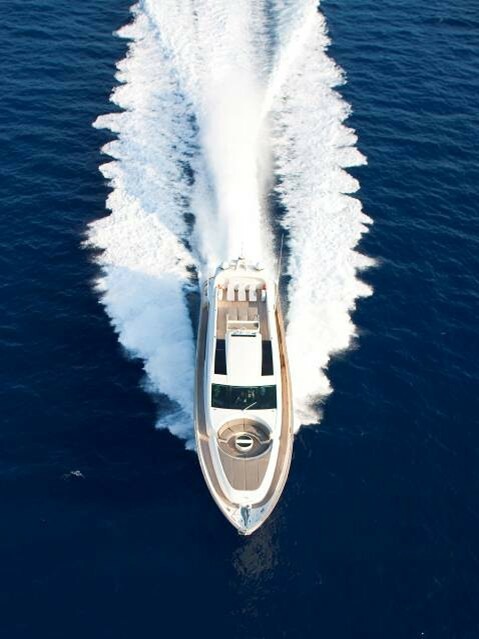 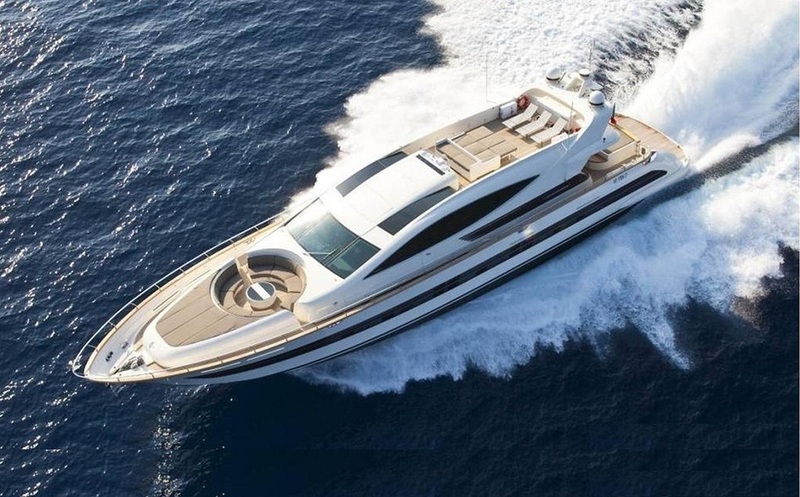 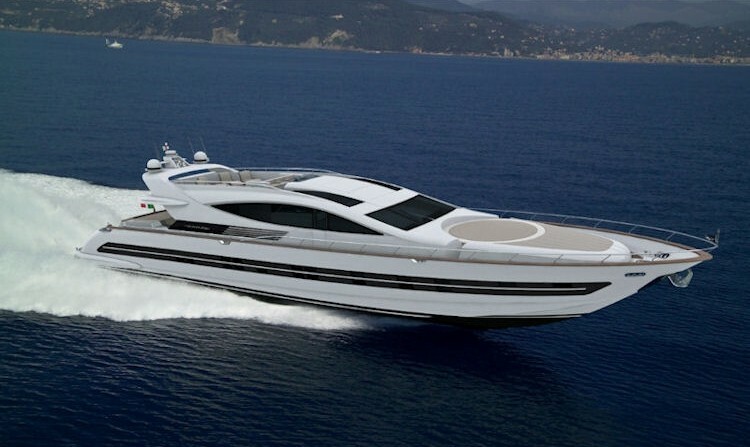 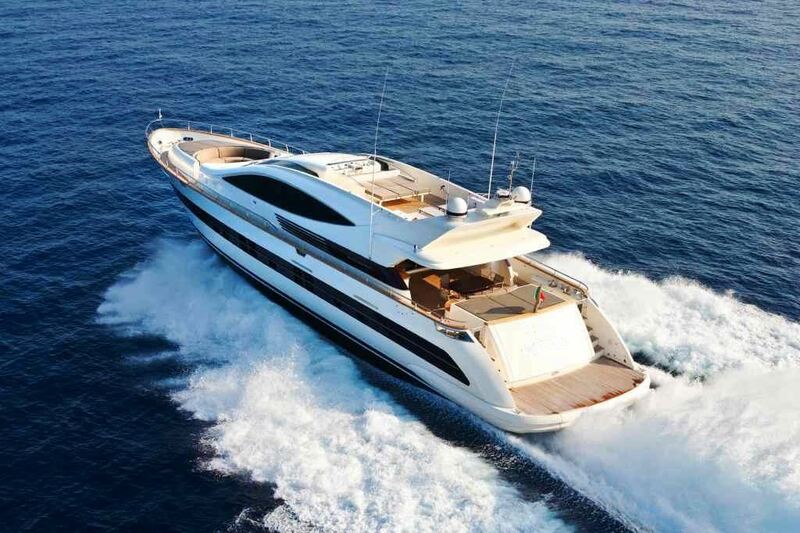 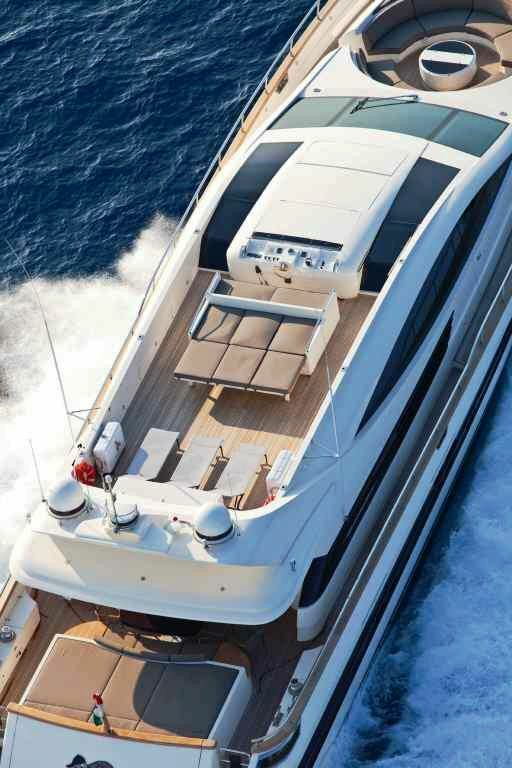 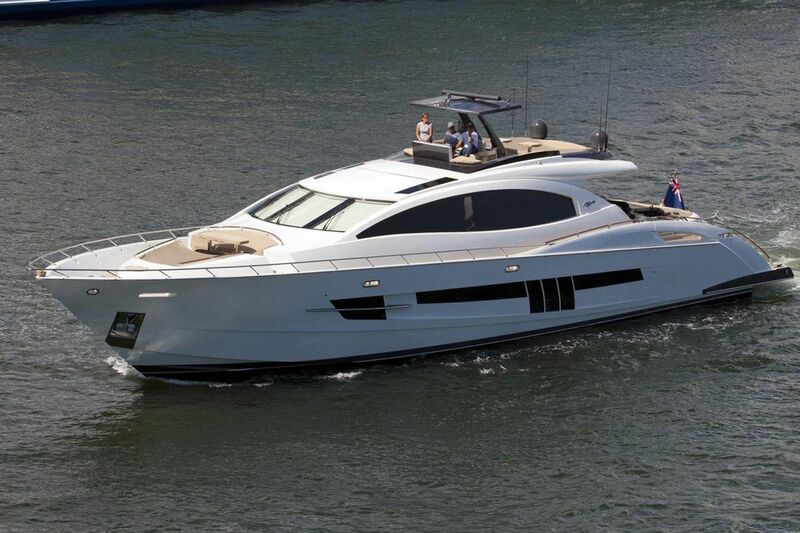 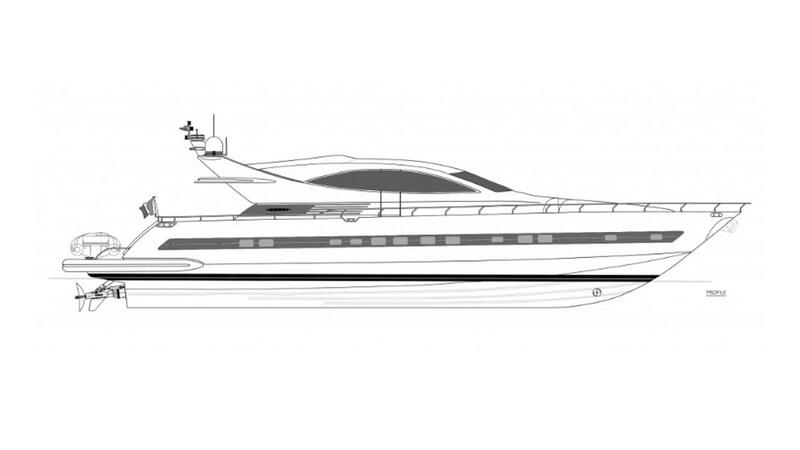 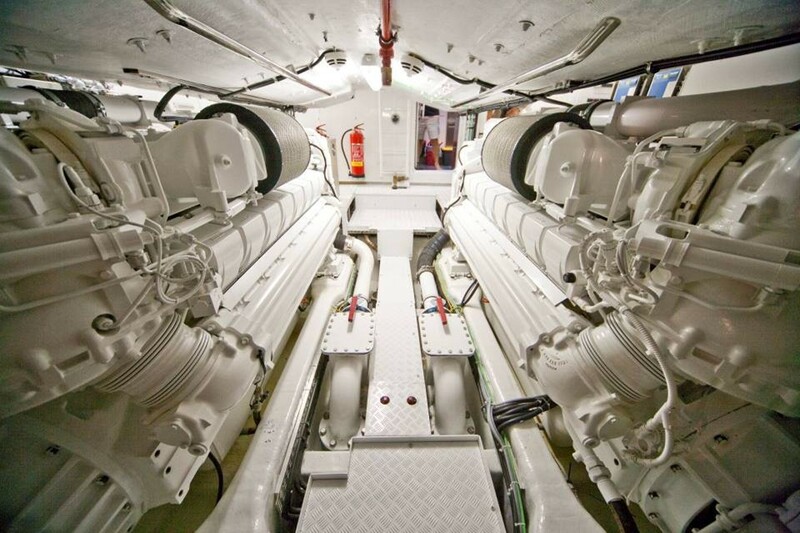 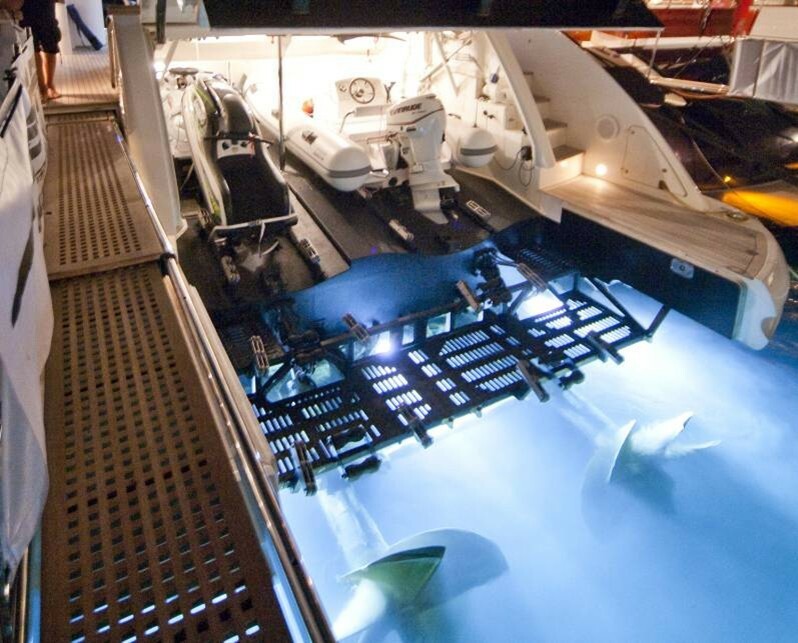 She boasts a modern design and with a top speed of 40 knots. 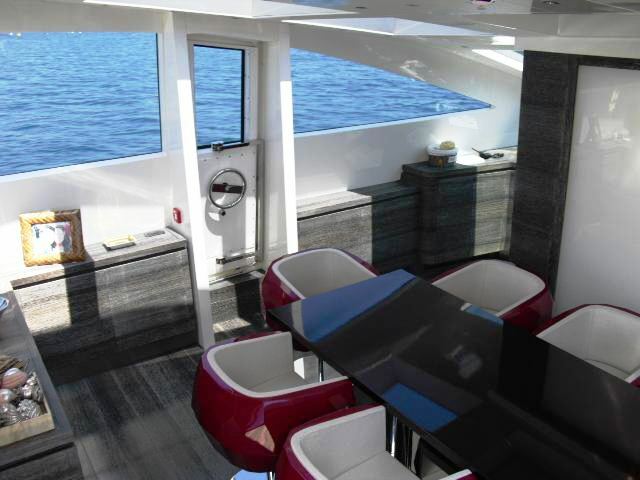 TOBY'S NOTABLE FEATURES: Opening sunroof above dining table ~ Additional lower salon ~ Great external space ~ Huge circular settee on foredeck ~ Oversized swim platform ~ Great selection of water toys. 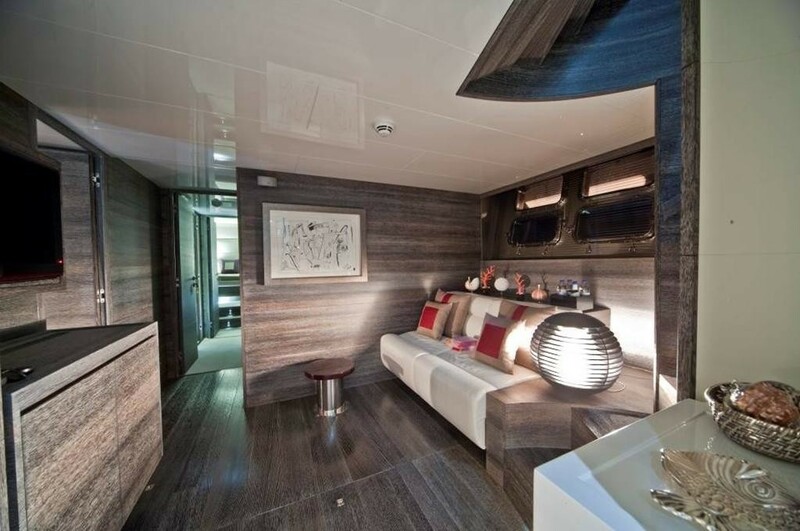 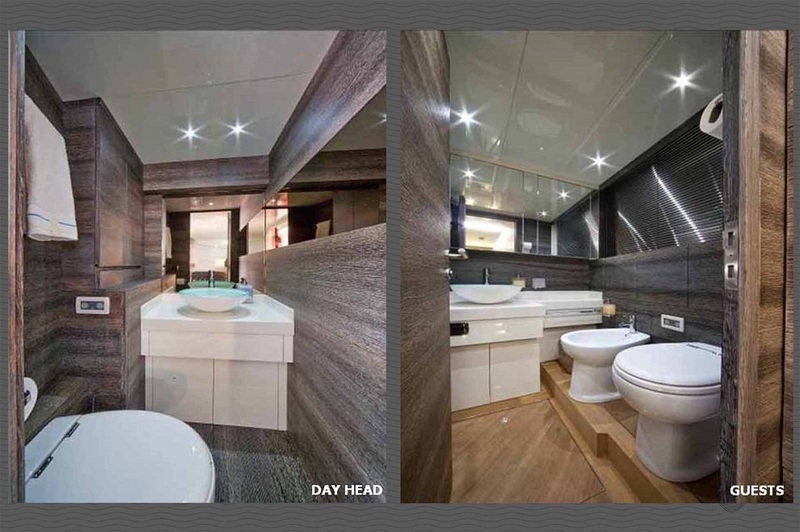 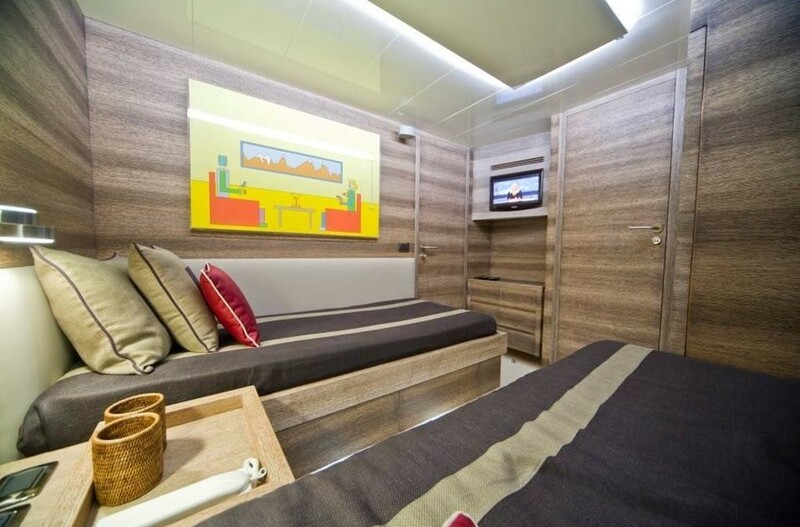 She features a spacious salon with a warm wooden flooring, white leather sofas to port and starboard with bright coloured cushions and a 46’LCD TV with entertainment system. 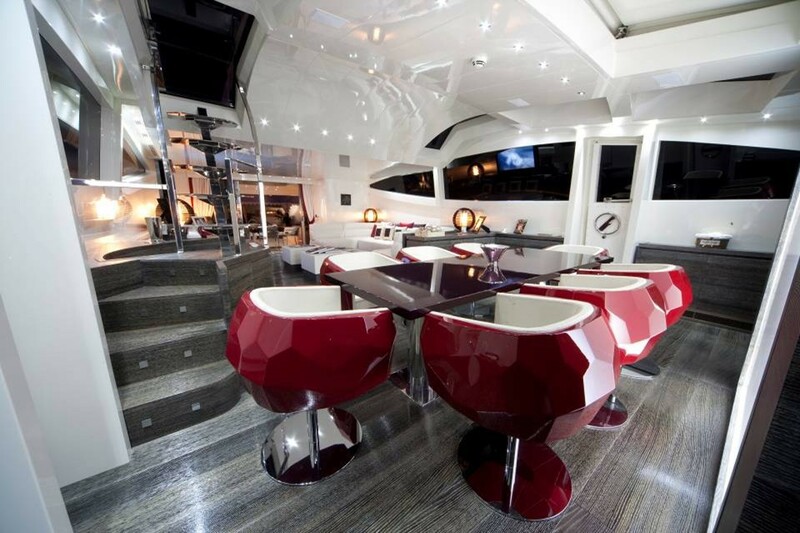 Further forward and adjoining the main salon is the formal dining area with a beautiful dining table. 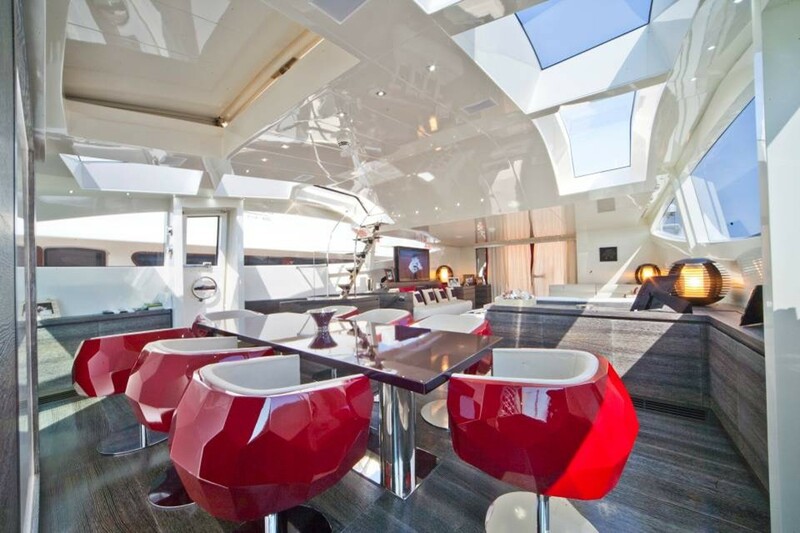 Above the dining table is an opening sunroof, enabling guests to see the stars at night, or enjoy a refreshing breeze, or sunshine during the day. 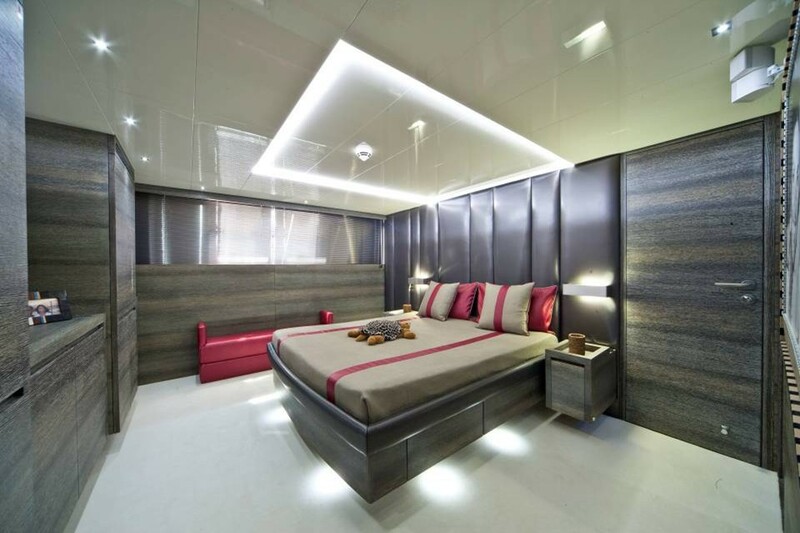 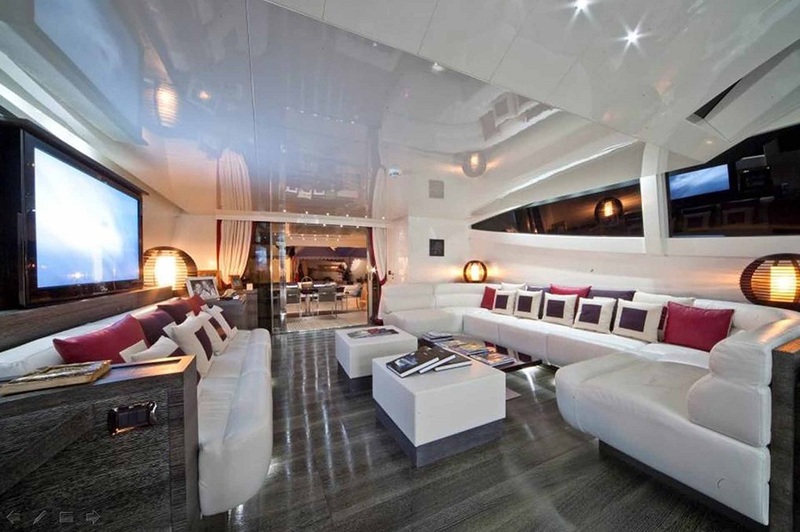 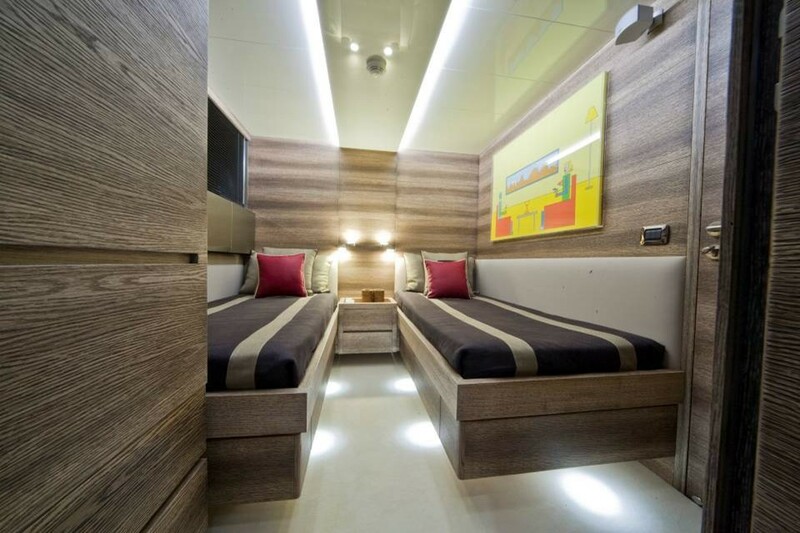 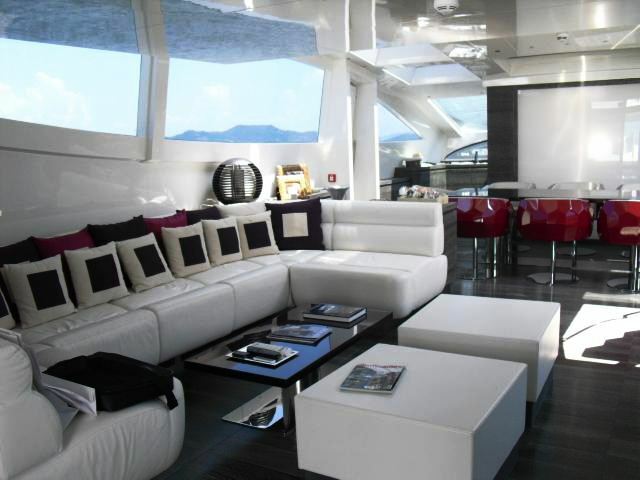 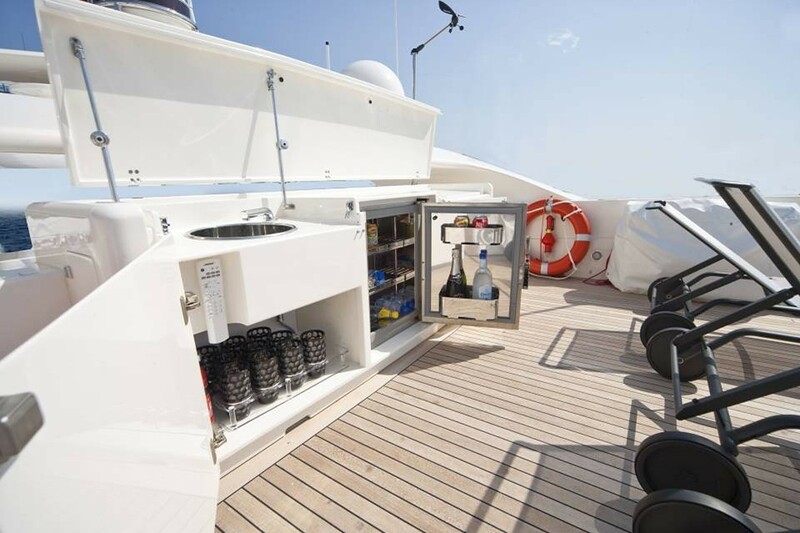 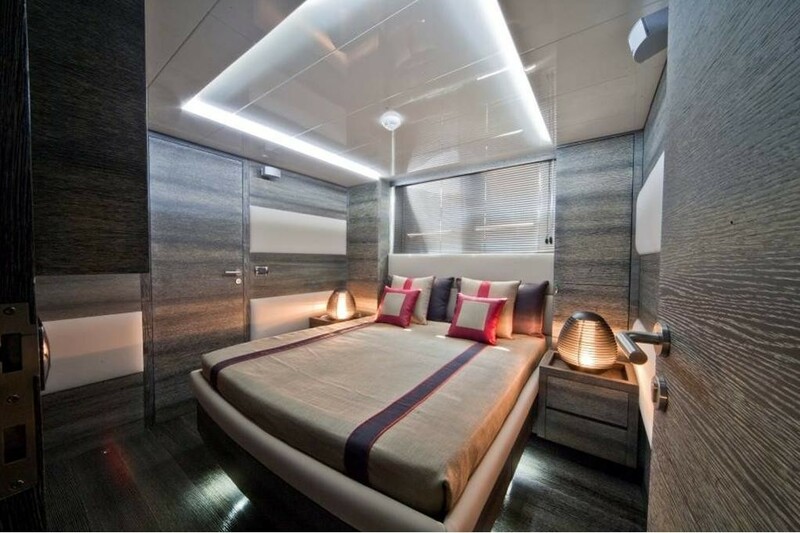 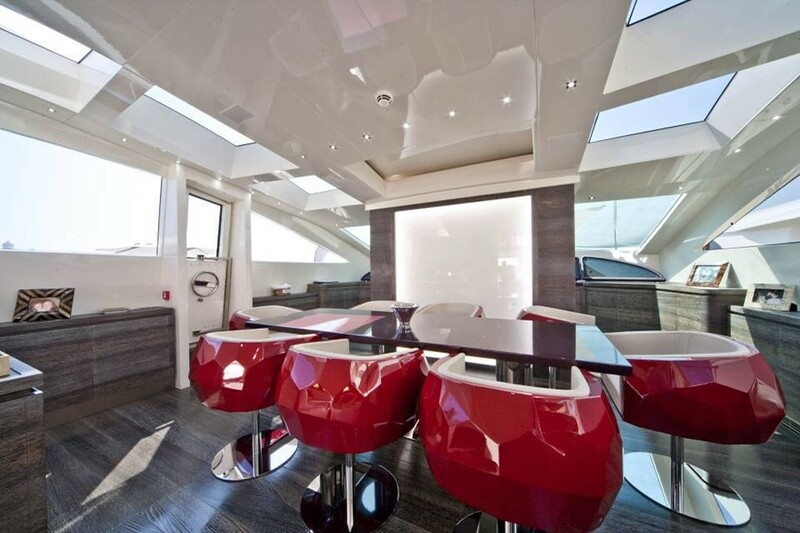 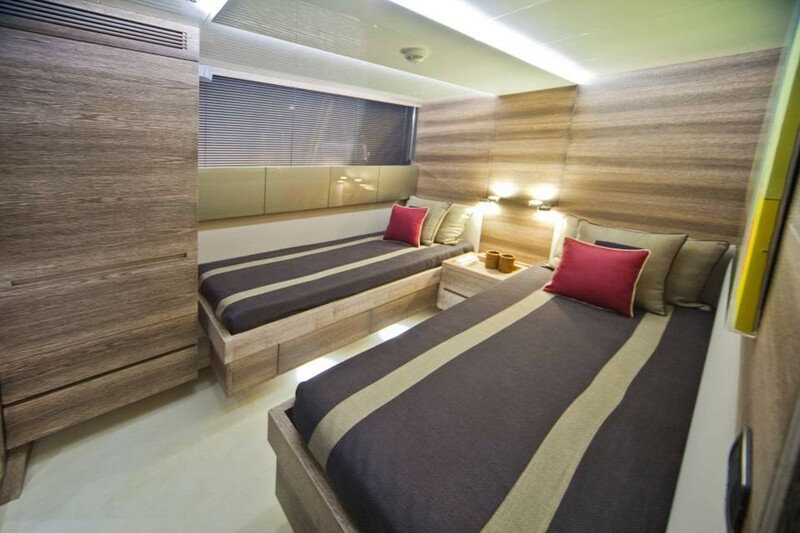 Large windows on either side of the yacht produce plenty of natural light. 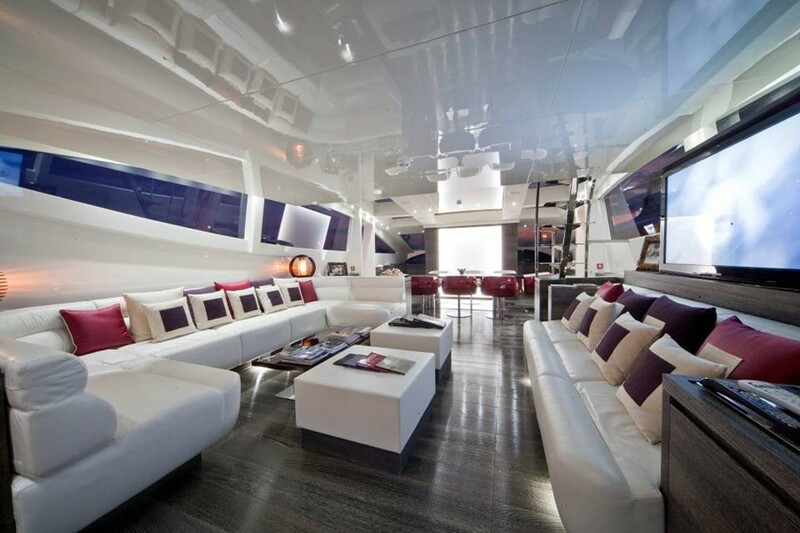 There is an additional lower salon with library and TV screen. 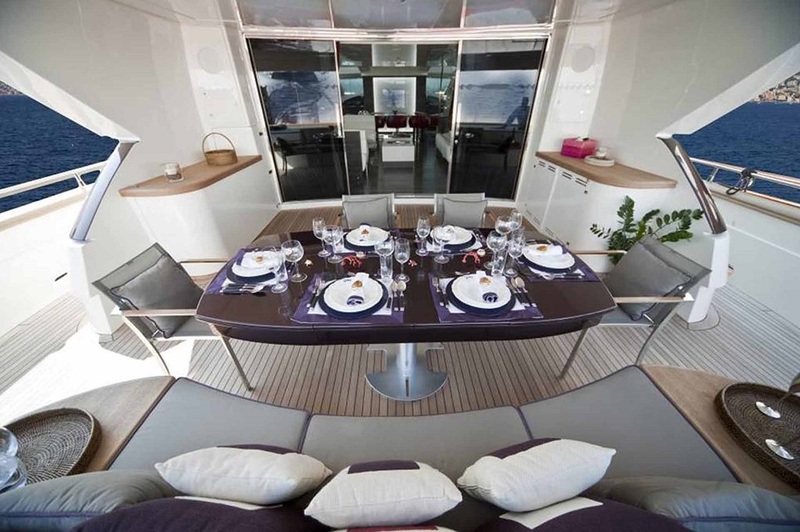 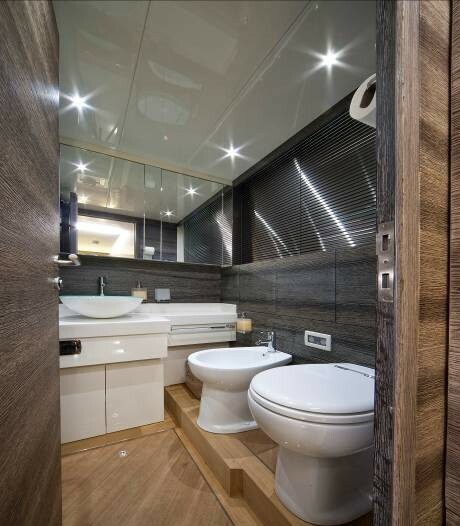 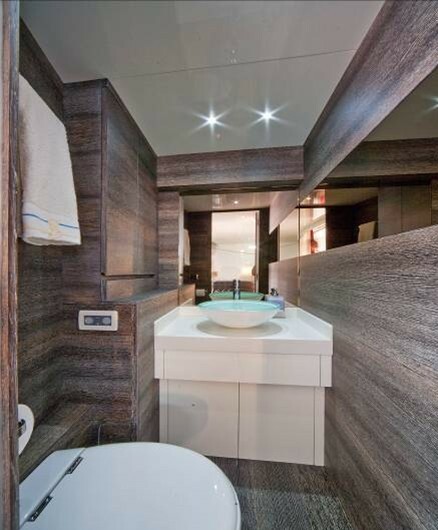 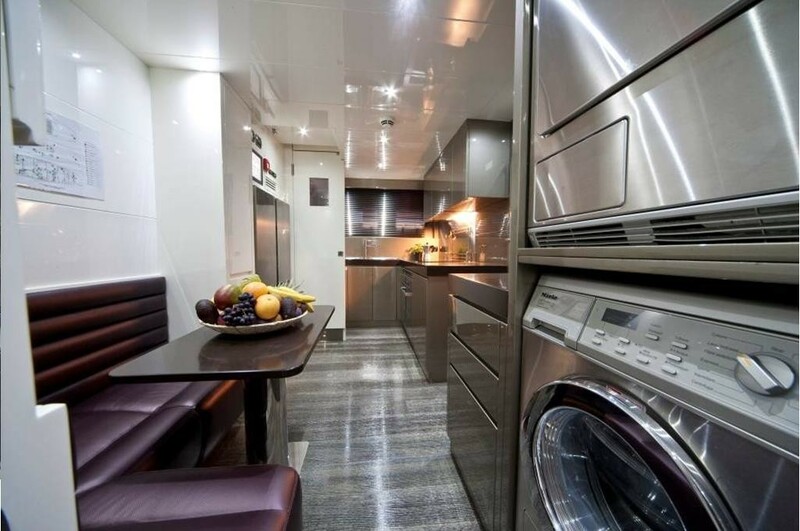 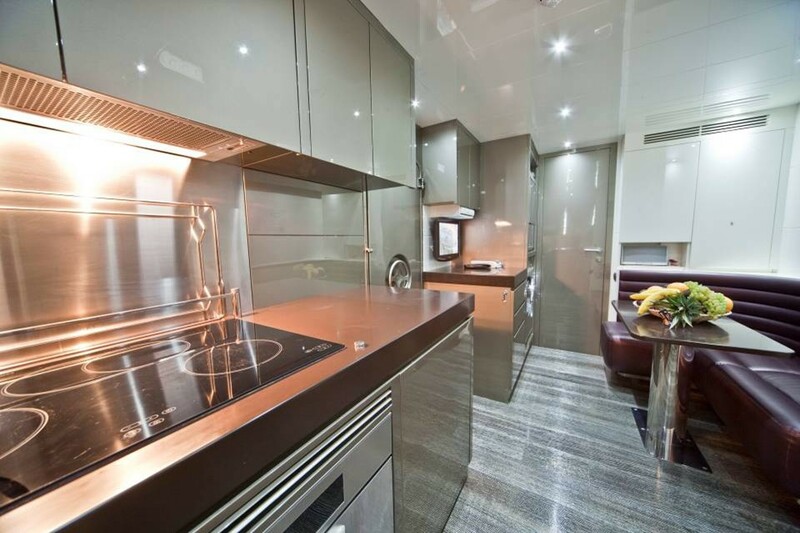 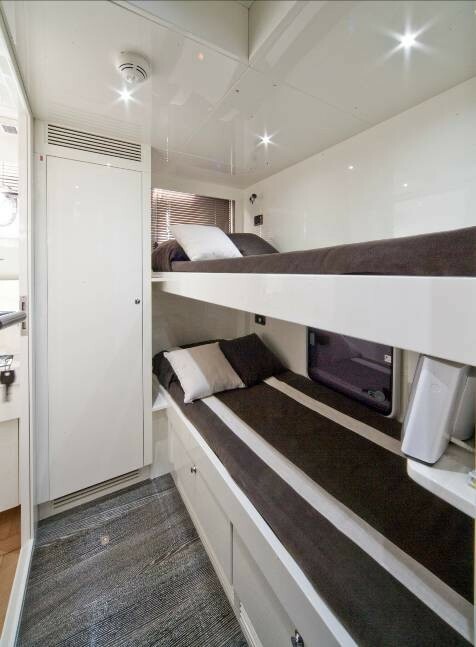 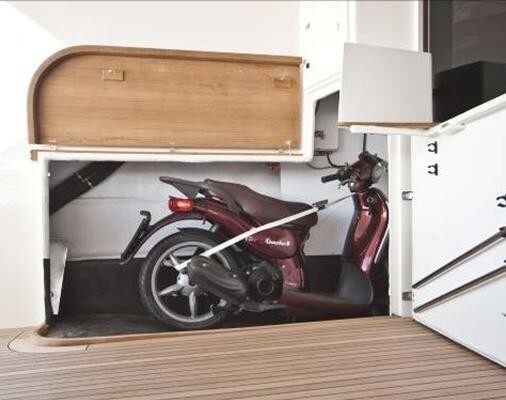 TOBY offers great external space with a large flybridge area. 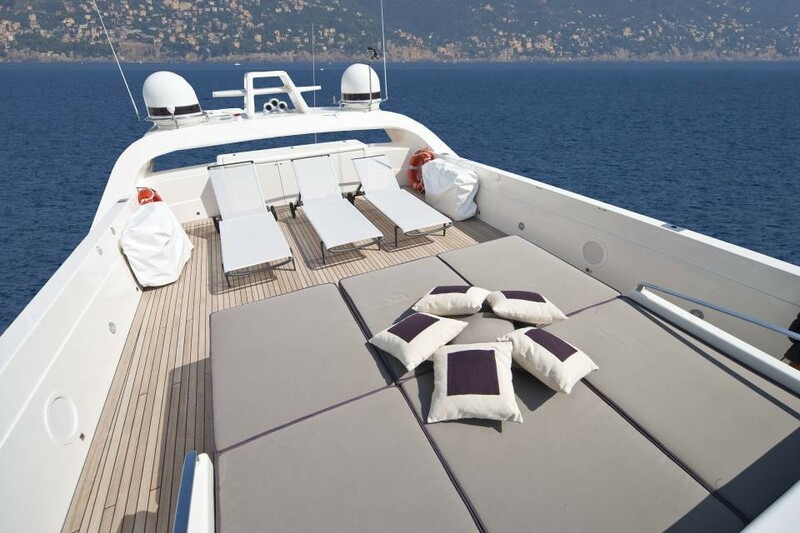 There is a three seater driving chair block that also acts as a large sunpad. 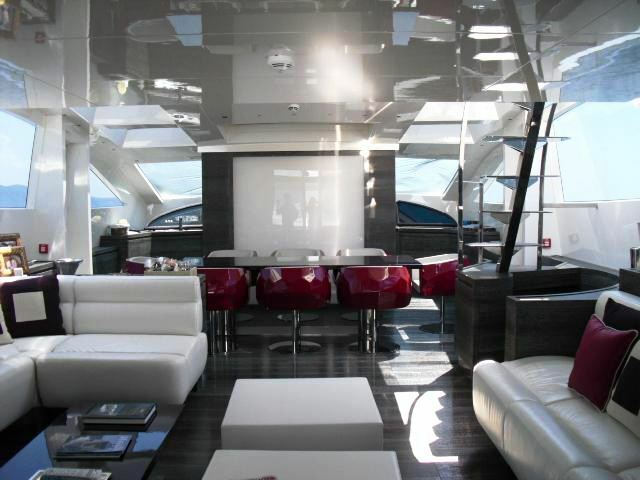 The rest of the space is equipped with sunbeds. 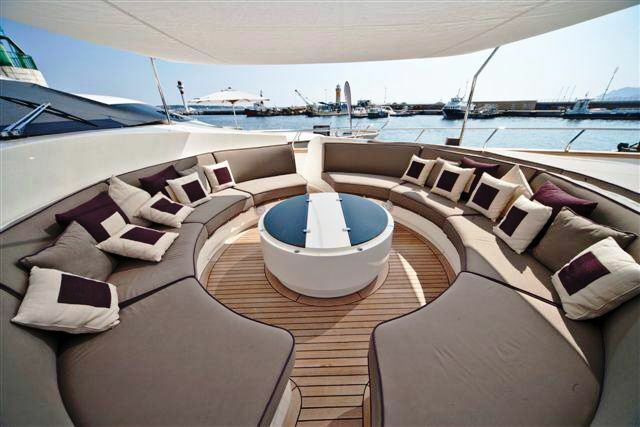 A favourite area for charter guests to enjoy is located forward where there is a large space on the bow with a huge circular settee that can accommodate up to 20 people comfortably seated, under the shadow of a bimini top. 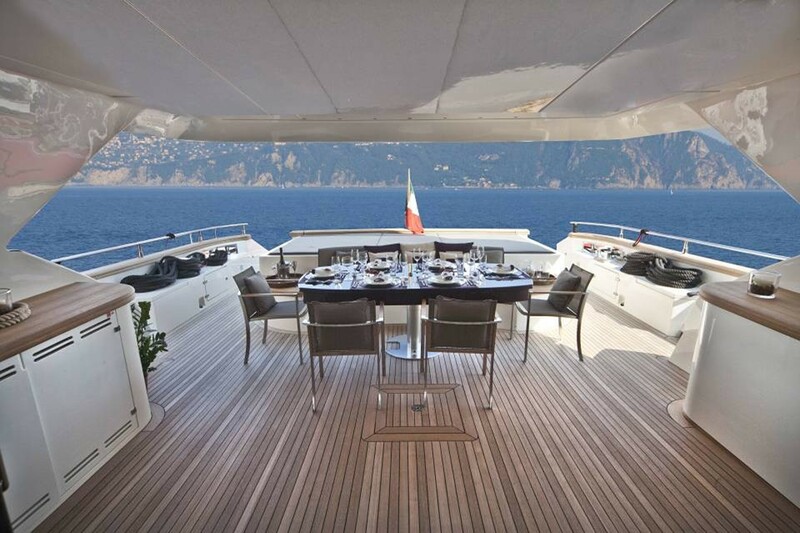 The aft deck has a large al fresco dining table for 10 guests with fridge bar and a comfortable large sunpad can accommodate over 6 yacht charter guests. 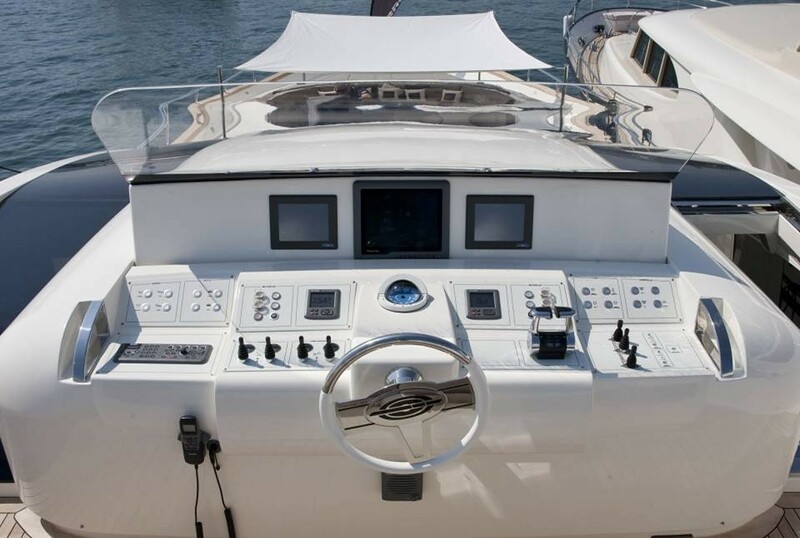 The yacht has an oversized swim platform where guests can swim or enjoy the range of excellent water sport toys including a tender, a Kawasaky Jet sky, or a 3 person Sea Doo250 Hp waverunner. 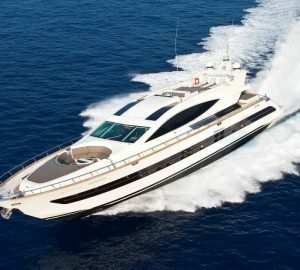 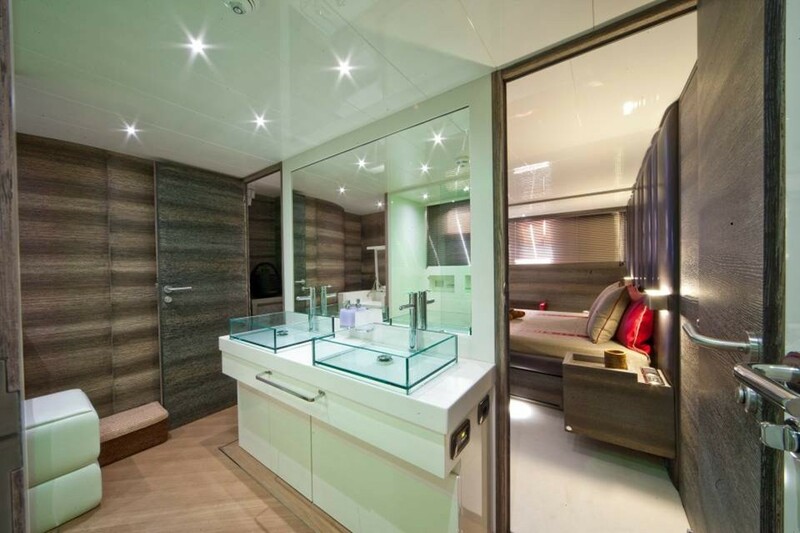 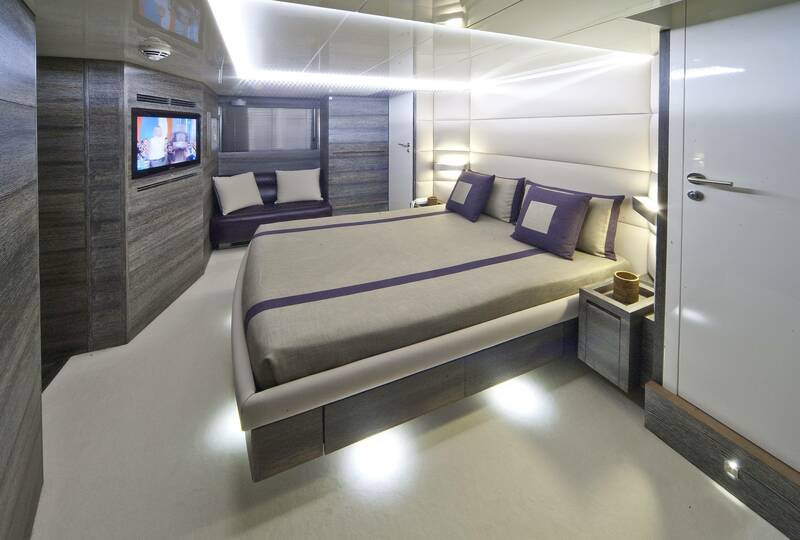 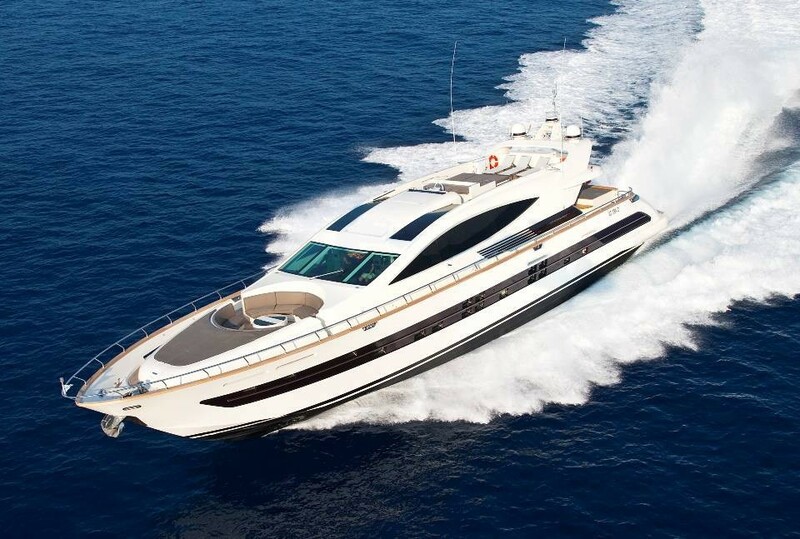 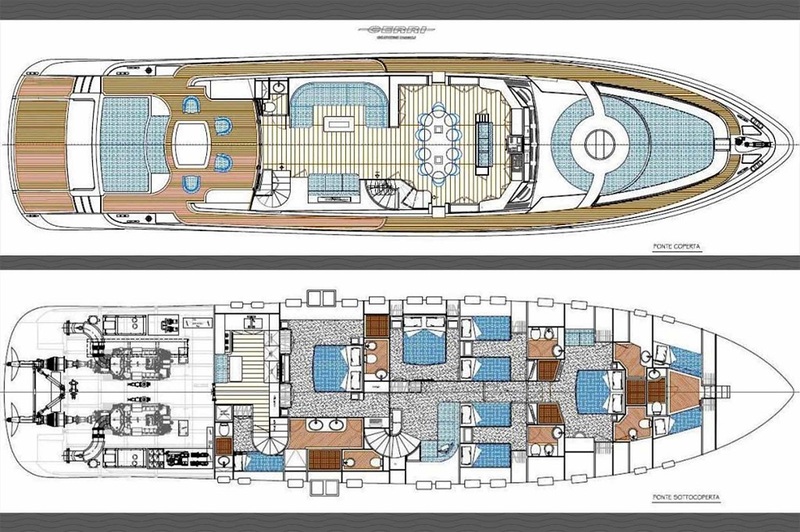 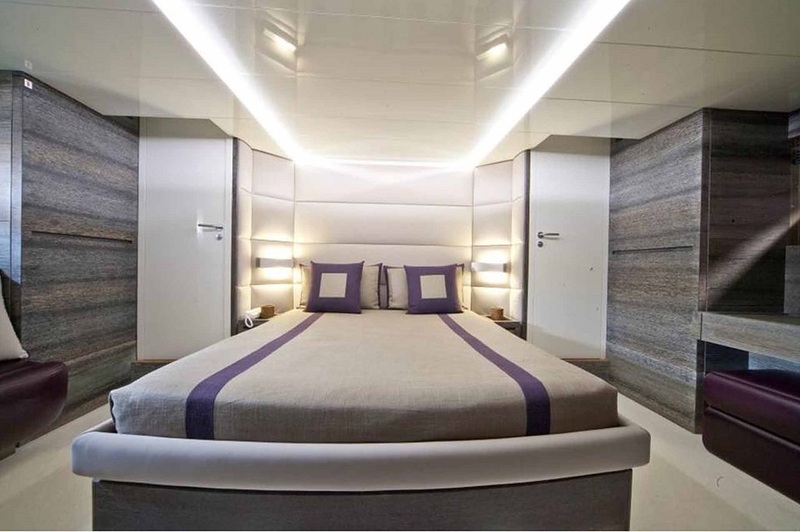 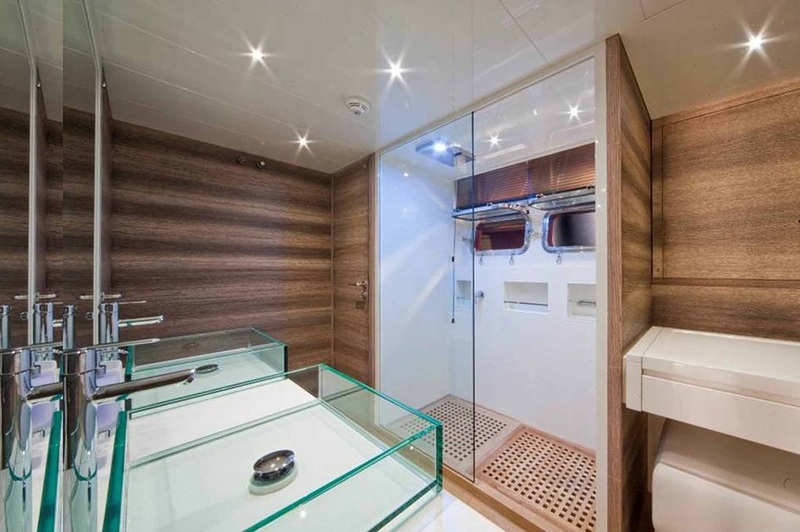 The luxury motor yacht TOBY can accommodate up to 10 guests in 5 cabins including the owner’s suite with a small private office and a great ensuite located on the lower deck aft, a double cabin amidships, two twin cabins and one VIP Cabin situated forward, all with en suite facilities.